Here at Vermont Lamp & Shade, we value the relationship we build with contractors. 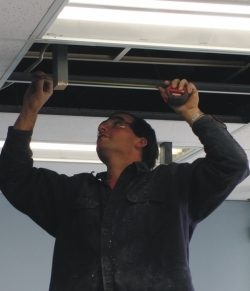 It is important to be able to work directly with the contractor to fit the lighting needs of the client. If you are a contractor and are looking for a lighting distributor - you've come to the right place. We have prepared a Customer Agreement Application and have made it available here for your convenience. Please review and fill it out and bring it in. If you have any questions, please don't hesitate to call us.